Thank you for your interest in the VacationCondos.com Owner Rental Program! Our program was designed for owners who are unable to use their deeded vacation property and who would like to earn potential income to offset the cost of your maintenance fees and assessments. We know that your vacation property is a big investment and that you have some questions before you get started. We’ve compiled a list of our most frequently asked questions. If you don’t see the answer to your question below, please email us or give us a call. We’re happy to help! Already Listed? Check Your Week's Status here! Once accepted, we’ll have your week listed in our rental pool on VacationCondos.com, as well as on popular online travel sites. If you provided an email address, we’ll send you a confirmation email. If you do not receive an email confirmation, please check with us to make sure we received your agreement. It is our priority to get our owners as much for their week as possible. To do this we’ll list your week for a nightly rate where it can be booked by travelers online, by phone or onsite walk-ins at the resort. At the end of the month containing the last day of the week you submitted, we’ll put together an invoice for our accounting department. A check and a copy of the invoice will be mailed to you within 30-90 days. 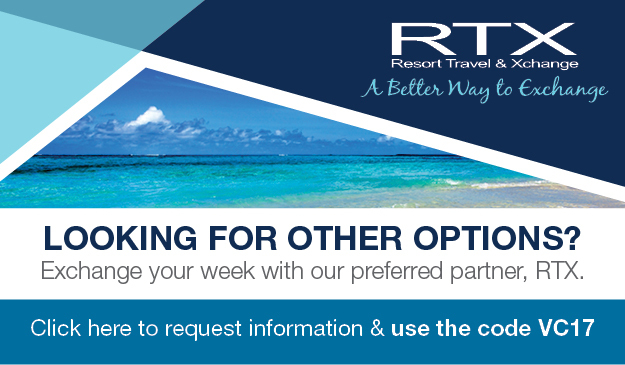 *Please note, if you are Park Plaza Owner or Float week owner, you will need to make a reservation before enrolling your timeshare into the program so that we can verify and match your week. Enrolling your week with VacationCondos.com is easier than ever before with the online sign-up process. You can also request a copy of our owner rental agreement by emailing us at info@vacationcondos.com. Fill out the agreement, and email, mail, or fax it back to us. After we receive it, we’ll process it and have your week in the program within 24-48 business hours. How soon do I need to deposit my week? Our team recommends depositing your week at least 45-60 days prior to its check-in date. This gives us ample time to find renters for your unit. However, we know that life doesn’t always go as planned and that last-minute circumstances come up. If you find yourself in a last-minute situation, we’re happy to list your week and will do our best to find a renter for it. How much will you rent my unit for? There are many variables that factor into how much your week will rent for including: dates, unit size, location, average length of stay, cleaning fees, as well as supply and demand. This makes it difficult to give an estimate. For this reason, we are not able to provide estimates or make guarantees. How much do you charge me to rent my unit? VacationCondos.com charges one of the lowest enrollment fees in the industry. We do keep a 35 percent commission from the rental proceeds your unit generates, but if for some reason your unit does not rent, there is no cost to you. Can I use my unit after I’ve deposited it? As long as no reservations have already been placed in your unit, we are happy to cancel your agreement with us for a $45.00 fee. We are required by the United States government to report any income your week generates for tax purposes. In order to do this, we require a United States Social Security Number. If you are a non-US citizen, you may apply for a Social Security Number by completing a W-8 form and sending it back to us. Without this number, we are required to withhold an additional 30 percent of your rental earnings for taxes. This is in addition to our commission. How long does it take for me to receive my payment? Checks will be processed and mailed out 30-90 days after the month containing the last day of your rental week ends. So, if you enrolled a week that ends in the first week of July, your check will be processed 30-90 days after July 31. *Please note, if you are Park Plaza Owner or Float week owner , you will need to make a reservation before enrolling your timeshare into the program so that we can verify and match your week. Why is my Social Security Number required? It is required by law that any revenue earned as a result of renting your unit through VacationCondos.com be reported to the IRS. By providing your social security number, VacationCondos.com will provide you with the necessary documents that you will need for your annual filing. If you are a non-US citizen, you may apply for a Social Security Number by completing a W-8 form and sending it back to us. Without this number, we are required to withhold an additional 30 percent of your rental earnings for taxes. This is in addition to our commission. VacationCondos.com is required by the United States government to report any income your unit generates for tax purposes. In order to do this, we require a U.S. Social Security Number. If you are not a United States citizen and do not have this number, you must complete a W-8Ben form with your foreign tax ID number and send it to us at info@vacationcondos.com. Without a foreign tax ID number, we are required to withhold an additional 30 percent of your rental earnings for taxes. This is in addition to VacationCondos.com’s commission. Please note that if the enrolled unit successfully rents, the address you provide here is where www.VacationCondos.com will mail your check. This Agreement is made and entered into by and between Vacation Weeks LLC, a Nevada limited liability company (hereinafter "VacationCondos") and the undersigned timeshare owners(s) (hereinafter "Owner"). Owner does hereby agree to submit, and VacationCondos does hereby agree to be appointed and employed to rent, pursuant to the terms and conditions contained in this Agreement, the Owner's timeshare interest (hereinafter "Timeshare") to the rental program (	hereinafter "Rental Program") run by VacationCondos, for the amount of time indicated herein. VacationCondos will use commercially reasonable efforts to market the Rental Program on behalf of Rental Program participants. However, VacationCondos makes no guarantee that Timeshare will be rented. This Agreement is effective for each of the years checked following paragraph 28 and preceding the signature(s) of Owner below, beginning the date on which this Agreement is executed (the "Term"). Owner represents and warrants that Owner has the right to provide VacationCondos with the ability to use and access Timeshare and that Owner has not given use rights to any timeshare submitted to the Rental Program to a third party. Owner understands and agrees that upon enrollment in the Rental Program, subject to the terms and conditions provided for herein, Owner loses all rights to occupy and/or utilize Timeshare during the Term of this Agreement, even if Timeshare is not rented. Upon submission of Timeshare to the Rental Program, it will be placed into a rental rotation, whereby comparable timeshare intervals are rented out in the order in which they are submitted to the Rental Program. Notwithstanding the foregoing, the order of rentals may be affected by special requests from renters, with first priority given to the timeshare interval that most directly meets the renters' requests, if any. VacationCondos, in its sole and absolute discretion, will set the rental rates for each timeshare submitted to the Rental Program. VacationCondos does not guarantee any specific rate or particular net proceeds to any Rental Program participant. Occupancy is determined by the market as a whole, and rental rates are based upon prevailing market conditions, competitive rate analysis and actual rental activity in the Rental Program. VacationCondos may use alternative marketing efforts, to include wholesalers, groups and other distribution channels, to rent any timeshare submitted to the Rental Program, and Owner expressly understands and agrees that in connection therewith, Timeshare may, from time to time, be rented at oless than advertised rates. Further, VacationCondos has the sole and absolute discretion, to accept or decline reservations. If Owner chooses to deposit their week prior to paying all maintenance fees, special assessments and other fees or interest due, the week will be entered into the rental pool. VacationCondos will not distribute any rental proceeds until all fees, assessments or interest is paid in full. Owner understands that if Owner elects to enter into a multi-year agreement, Owner must pay in full all maintenance fees, special assessments or any other fees and interests, as applicable, as such become due and payable in order for Timeshare to continue to be listed for rent in the Rental Program. For the services provided herein, Owner will pay VacationCondos thirty-five percent(35%) of the Gross Rental Income (as defined herein) received for the rental of Timeshare. For purposes of this Agreement, Gross Rental Income shall mean the total revenues collected for each rental of Timeshare and exclusive of the sales, lodging and/or other use taxes collected from the rental guest. Gross Rental Income, less VacationCondos' thirty-five percent (35%) commission and any applicable cleaning fees will be dispersed to Owner ("Rental Proceeds"). Rental Proceeds will be disbursed to Owner within thirty (30) to ninety (90) days from the end of the month in which Timeshare was rented. If the rental was procured from a third-party vendor such as Expedia or Hotels.com, the Rental Proceeds will not be disbursed to Owner until VacationCondos receives payment from the vendor, which in some cases may be up to ninety (90) days from completion of the rental. Owner fully understands that participation in the Rental Program is completely voluntary. Owner may utilize any rental agent that Owner chooses, and it is Owners responsibility to make those arrangements. Owner fully understands that participation in the Rental Program is completely voluntary. Owner may utilize any rental agent that Owner chooses, and it is Owners responsibility to make those arrangements. Owner fully understands and agrees that VacationCondos will not place Timeshare in the Rental Program until this Agreement is signed and returned by every owner of record of Timeshare. Unless otherwise agreed upon by both parties in writing, execution and submission of this Agreement must take place at least sixty (60) days prior to the start of the occupancy period of my/our timeshare. VacationCondos may change, amend or cancel this Agreement at any time in its sole discretion by giving written notice to Owner, which notice may be provided via certified electronic mail, by postings on the following website www.vacationcondos.com or by any other method provided for herein. Waiver. No waiver of any breach of any Agreement, condition or covenant herein contained shall be construed to be a waiver of such condition, covenant or agreement itself or of any subsequent breach thereof or of this Agreement. Governing Law. This Agreement shall be governed by and construed pursuant to the laws of the State of North Carolina, without regard to conflict of law principles. Notices. Any notice required hereunder shall be valid and shall be deemed given, if delivered to the recipient via certified electronic mail upon confirmation of the delivery, or if posted on the following website www.vacationcondos.com once the notice is posted, or if mailed by certified mail, return receipt requested, seven (7) days after depositing with the United States Postal Service, or if by overnight delivery from a nationally recognized overnight courier, on the next business day. Notices shall be addressed to the addresses, including email addresses for such party set forth at the end of this Agreement, or as otherwise provided in this Agreement. Sale. In the event of any sale or conveyance of Timeshare once it is submitted to the Rental Program, Owner understands and agrees that such sale shall be made subject to this Agreement and any previously made reservations by VacationCondos. Owner shall immediately provide VacationCondos with written notice of any such sale, and shall inform VacationCondos of the closing date, name, address and telephone number of the purchaser. Owner agrees to fully disclose this Agreement, and the terms herein, to any such prospective purchaser. Assignment. This Agreement may not be assigned by Owner unless such assignment is agreed to in advance in writing by VacationCondos. VacationCondos may assign this Agreement upon written notice to Owner, provided that this Agreement shall be binding upon and inure to the benefit of all such successors and assigns. Notwithstanding the forgoing, VacationCondos may, without notice to Owner, freely assign this Agreement to any affiliated, related or successor company or entity of VacationCondos. Severability. Each provision of this Agreement shall be interpreted in such a manner as to be effective and valid under applicable law. However, if any provision of this Agreement shall be prohibited by or invalid under such law, it shall be deemed modified to conform to the minimum requirements of such law, or, if for any reason it is not deemed so modified, it shall be prohibited or invalidated only to the extent of such prohibition or invalidity without the remainder thereof, or any other provision of this Agreement, being prohibited or invalidated. Headings. All headings in this Agreement have been included herein for reference purposes only, and are not to be used in the interpretation of this Agreement. Interpretation. This Agreement shall be fairly interpreted in accordance with its terms without any strict construction in favor or against any party, and any ambiguity shall not be construed against the drafting party. Indemnification. Owner will indemnify and hold VacationCondos and its parents, subsidiaries, affiliates, principles, officers, directors, members, managers, agents, representatives, employees and successors and assigns harmless for all claims, damages, causes of action, suits, judgments, losses, liabilities, cost and expenses (including reasonable attorney fees) arising out of or relating to this Agreement or the performance by either party hereunder, unless due to VacationCondos' bad faith or willful misconduct. Additionally, Owner will indemnify and hold VacationCondos and its parents, subsidiaries, affiliates, principles, officers, directors, members, managers, agents, representatives, employees and successors and assigns harmless for all claims, damages, causes of action, suits, judgments, losses, liabilities, cost and expenses (including reasonable attorney fees) arising out of or relating to the rental of any timeshare Owner submits to the Rental Program and/or Owner's use, appropriation or misappropriation of Renter Proceeds, including but not limited to any failure on Owner's part to pay an applicable taxes. Acknowledgement. By Owner's signature below, Owner hereby acknowledge and represent that Owner has reviewed this Agreement and understands the scope and binding effect of the provisions contained herein. Necessary Approvals. Owner has obtained all necessary approval(s) from any applicable governmental or other regulatory body(ies) and/or all necessary permits, licenses or any other necessary document required to place my timeshare in the Rental Program. Entire Agreement. This Agreement constitutes the entire agreement between Owner and VacationCondos relating to the subject matter contained herein, and it supersedes and replaces any and all prior agreements and understandings, whether written or oral, relating to the subject matter hereof, including any prior rental management agreements between Owner and VacationCondos or VacationCondos' parents, affiliates or subsidiaries. Notice to buyer. The terms and conditions contained herein and otherwise attached and referenced form a part of your agreement. Do not complete your enrollment in the vacationcondos.com rental program if you are unable to review all of these terms and conditions in their entirety, or if any of the spaces intended for the agreed terms to the extent of then available information are left blank. You are entitled to a copy of this agreement at the time you complete your enrollment. Please be sure one is provided to you. Your enrollment fees are due in full at the time you complete your enrollment in the vacationcondos.com rental program by executing a copy of the rental program agreement, whether electronically or manually. VacationCondos does not provide financing for the payment of enrollment fees. Accordingly, there are no negotiable instruments or security interests arising out of your enrollment in the vacationcondos.com rental program that need to be returned to you or otherwise released or satisfied by VacationCondos. Buyer's right to cancel. You may cancel your enrollment in the vacationcondos.com rental program, without any penalty or obligation, within three business days from the date on which you execute your rental program agreement, whether manually or electronically. If you cancel your enrollment within three business days from the date on which you execute your rental program agreement, any enrollment fees paid by you shall be refunded within ten business days following receipt by VacationCondos of your cancellation notice. VacationCondos does not provide financing for the payment of enrollment fees or rental commissions. Accordingly, there are no negotiable instruments or security interests arising out of your enrollment in the VacationCondos.com rental program that need to be returned to you or otherwise released or satisfied by VacationCondos. Notice of cancellation. To cancel your enrollment without penalty, mail or deliver a signed and dated copy of this cancellation notice or any other written notice, or send a telegram, to VACATION WEEKS LLC, 521 COLLEGE STREET, ASHEVILLE, NC 28801 ATTN: VACATIONCONDOS.COM, not later than midnight of the third business day following the date on which you execute your rental agreement stating that you wish to cancel your enrollment. Please note unless and until your timeshare unit is booked for a rental, you may cancel this agreement at any time. If you choose to cancel your rental agreement after the three-day right to cancel provided for herein, you will be charged a cancellation fee of Forty-Five and No/100 Dollars ($45.00). Upon cancellation of this agreement, your timeshare will be taken out of rental rotation and you will have access to the usage of your timeshare.